Esthetics has been defined as having a love of beauty and we love creating beautiful smiles. Esthetic dentistry corrects imperfections in your smile. If you have issues with your smile, modern dentistry can address the issue. Whether handmade veneers or full coverage crowns are needed to enhance your smile, our laboratory uses the most modern cutting-edge materials. The color, alignment, spacing as well as regularity of the teeth are the characteristics for overall appearance. Any of these can be repaired to give a stunning look to the mouth. We offer a wide variety of esthetic options. Some of these options include whitening, smile design, contouring, veneers, bonding, and ceramic/porcelain crowns. This is the procedure of making teeth whiter and therefore more attractive. According to Constance Whitson, anyone over the age of 45 looks 10 years younger with white teeth. Our office uses several methods, including in-office whitening, passive tray whitening and professional strength white strips. Our in office lightening system is effective and fast. In just over an hour, your teeth will be dramatically whiter. The convenience of our in-office lightening system is that it lightens your teeth quickly. Our in-office lightening procedure is simple. It begins with a short preparation to isolate your lips and gums. Then the doctor applies the lightening gel. You'll be amazed with the results. In most cases, teeth get even whiter the first few days after the procedure. 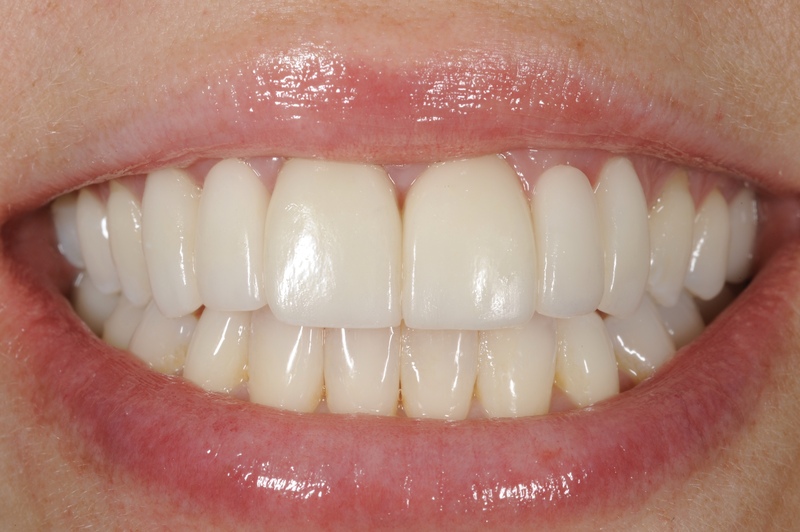 Trays with gel are recommended afterward for maximum whitening maintenance. The tray lightening method is also a great choice that produces bright results. This easy procedure involves taking an impression for the laboratory to make custom vinyl trays. You simply place a carbamide peroxide gel in the trays and the trays are worn at home, while you work or relax. The entire process takes only 3-4 weeks of daily use and results are amazing. Whether you decide to do our in-office whitening or trays, the results should be the same. Veneers are a dental procedure in which a covering is placed over the outside (visible area) of the tooth. The procedure can be direct or indirect. The indirect technique is when the veneers will be fabricated at a dental laboratory. At the first appointment the teeth are prepared, impressions taken and the teeth are given a temporary covering. In two to three weeks the veneers are back from the laboratory, the temporaries are removed, and the veneers are bonded to the teeth. The laboratory fabricated veneers are made using porcelain or pressed ceramic, and are very esthetic. 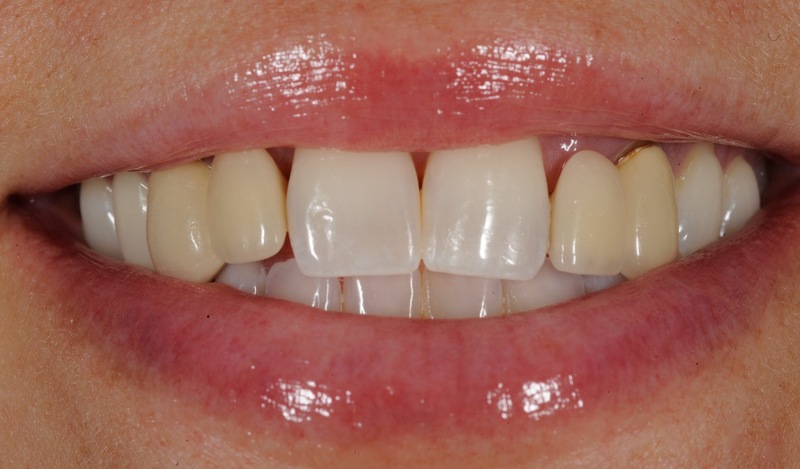 The advantage of veneers versus crowns is that much less tooth material is removed. Veneers are recommended for someone who is dissatisfied with the appearance or alignment of their teeth. Bonding is when a composite resin material that is matched to the color of your tooth is applied. This is done to repair damage done to the tooth by decay, to alter the alignment of the tooth, close gaps between the teeth or for esthetic purposes. A gel is applied to micro etch the tooth surface and a primer/bonding agent is applied so the material adheres to the surface. Then the composite resin is placed on the tooth and hardened with intense light. The composite resin is then shaped and polished for a lustrous finish. Invisalign straightens your teeth with a series of clear, virtually invisible custom-molded aligners. By using a series of clear, removable aligners, Invisalign straightens your teeth with results you'll notice sooner than you think. The course of treatment involves changing aligners approximately every two weeks, moving your teeth into straighter position step by step, until you have a more beautiful smile. And unlike braces, these clear aligners can be removed while you eat and brush your teeth.